Part one of our video guide to what’s trending in travel marketing and ideas on how to stay ahead in the holiday rentals industry in 2014. Travel experts predict 2014 will be the year of the holiday rental. Great news for all. But as the market grows ever more competitive, homeowners will need to pull out all resources to stay on top. The first in our two-part series uncovers some of the trends in technology and travel marketing for 2014 and how introducing them to your holiday rental marketing can accelerate bookings for the future. Smartphone and tablet usage are driving mobile travel bookings. Last year over 60% of mobile users made a travel purchase on their tablet or smartphone and this trend will continue to grow throughout 2014, with a prediction that 50% of all online accommodation bookings will be made via mobile devices by 2017. At Spain-holiday.com we are working towards a 100% mobile-friendly site. With some sections already mobile responsive and completion across the whole site due later this year. Online video usage is growing at a fast pace. According to a travel survey carried out by Google Think, in 2013, 30% of travellers consulted a video before making a booking. Travel videos inspire and motivate holidaymakers, helping to make the decision on destination and accommodation. With this in mind, it’s a great idea to make a video tour of your accommodation, which you can use on your website, share through social media and of course upload to video channels, such as youtube or Vimeo. We mentioned Animoto in a previous article, another effective and simple system to create video presentations. 2014 is the year of multi-screen marketing, with travellers moving between multiple devices to complete bookings. It’s a fact that television no longer commands a viewer's full attention, distracted by tablet and smartphone surfing. The accessibility of smartphones and tablets, means that travellers can be researching on several sites at once, and on the spur of the moment. Ultimately, this could lead to more impulsive travel purchases and bookings, so it’s essential that your listing stands out from the crowd, is kept up-to-date and as attractive and informative as possible. Social media has become an essential part of the holiday experience, with travellers researching, booking and sharing their holidays through social media. What’s more it’s become an integral part of travel marketing, since search engines have started to favour social media sites within their search results. So, it’s not surprising, 2014 will be the year to increase website traffic through social media. However, if you are using social media to promote your holiday rental, be prepared for guest feedback - good and bad. More than ever consumers use social media to vent their frustration or to review a product or service. It’s essential that you manage all feedback quickly and diplomatically, in an even and friendly manner. Facebook, Twitter, Pinterest and now Google Plus There’s no end to the number of social media networks you could be promoting your holiday rental on. 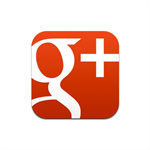 But experts predict that Google Plus is the one to focus on for 2014. In terms of SEO, if you want to increase your own website visibility, then we recommend you create a well-optimised Google Plus page. Set up your page as a local business and you will see how it syncs with Google maps, places, local searches and accommodation applications. Visit the Spain-holiday.com Google Plus page to get some inspiration. Part two in our 2014 The Year of the Holiday Rental series looks at the importance of the guest experience and how to run your holiday rental like a five star home-from-home.